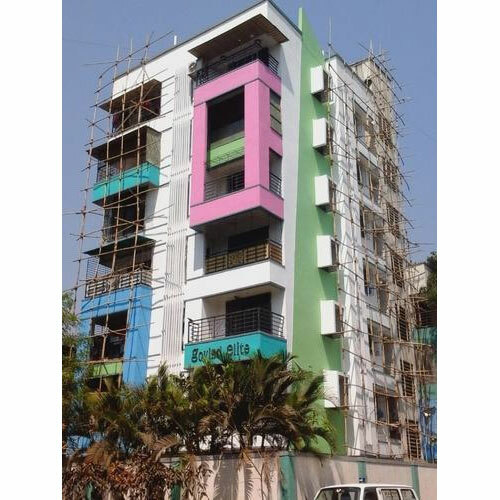 Exterior Paints or POLPRIN™Anti-Carbonation (AC) Paint is a specially formulated protective coating/paint that gives protection against carbonation, chloride attack, and also water permeability. It protects concrete against carbonation and salts such as chlorides, and sulphates. It is designed as a protective and decorative coating for most concrete surfaces. It can be used to paint exterior surfaces, in place of conventional paints. Higher film thickness compared to conventional paints. Protection against carbon dioxide and chloride ion ingress. Waterproofing, anti-fungal, and anti-algae properties. Easy bonding with plastered and concrete surfaces. Note :The information given in this data sheet is based on tests conducted in-house laboratory and/or independent accredited laboratories. While the information is presented as true and accurate representation of the attributes of the products to the best of our knowledge, no expressed or implied warranties are made and Polygomma assumes no responsibility or liability with regard to the use of this information. The right to make periodic revisions of the specifications without prior notice is reserved. Click Here to inquire with us about our Exterior Paints.